The suicide bombing that occurred in Nangarhar province of Afghanistan claimed lives of 19 people, including 11 Sikhs and injured 20 others on Sunday. 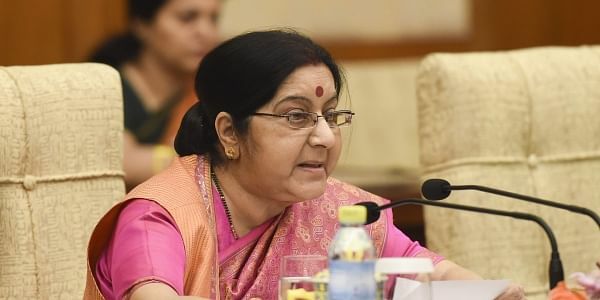 NEW DELHI: External Affairs Minister (EAM) Sushma Swaraj will on Monday evening meet the relatives of the victims of the Jalalabad suicide blast in Delhi. The meeting will take place at around 6:00 pm at Jawaharlal Nehru Bhawan. Swaraj also expressed her condolences to the families of the victims and extended support "in the hour of tragedy". "My heartfelt condolences to the families of the victims of the terror attack in Jalalabad city of Afghanistan. We are with them in this hour of tragedy. I am meeting their relatives today at 6:00 pm in JN Bhavan," Swaraj tweeted. Meanwhile, Prime Minister Narendra Modi also condemned the incident and assured that India stands ready for assistance "in this sad hour."